Maple Ridge – FEBRUARY 24 UPDATE – On Sunday, February 24, RCMP performed their keep-the-peace duties during the City of Maple Ridge’s enforcement of the February 8, BC Supreme Court injunction order. The injunction order gave the City of Maple Ridge authority to address fire safety issues in the camp located at 11683-223 Street. As always, the primary concerns of police are public safety, police officer safety, and the right to peaceful, lawful and safe protests within the terms set by the BC Supreme Court in the injunction. The BC Supreme Court has acknowledged the RCMP’s discretion with respect to enforcing the injunction and police may take enforcement action on a case by case basis if there are criminal activities or reports of individuals violating the court ordered injunction. Six people were arrested for alleged violation of the injunction and other criminal code offences. Three will be appearing Monday in BC Supreme Court on alleged violation of the injunction order. Three others will be appearing tomorrow in Provincial Court on various alleged Criminal Code offences. FEBRUARY 23 UPDATE – On Saturday, Ridge Meadows RCMP Updated their status in regards with the St Anne’s Homeless Camp, address fire safety issues in the camp. The RCMP will continue their keep-the-peace duties during the civil injunction process. 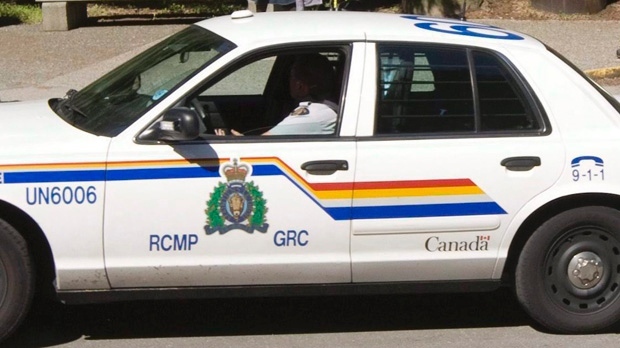 The BC Supreme Court has acknowledged the RCMP’s discretion with respect to enforcing the injunction and police may take enforcement action on a case by case basis if there are criminal activities that pose a threat to the safety of individuals or property or reports of individuals violating a court ordered injunction. We want to assure residents that day to day policing operations within the Ridge Meadows area will be unaffected throughout the injunction process. Police will continue to monitor the situation and work with all stakeholders to provide assistance in maintaining public safety, police officer safety, and the right to peaceful, lawful and safe protest, within the terms set by the Supreme Court in the injunction. You may notice an increase in resources in the St. Anne’s Land area. You may see additional personnel and equipment from the City of Maple Ridge and the Ridge Meadows RCMP in the area during the City of Maple Ridge’s Injunction enforcement time. You may also experience some minor traffic disruption. You will notice police officers from the Division Liaison Team (DLT) in the area. This team is responsible for outreach efforts to those involved with demonstrations. Their objective is for demonstrations to be carried out safely for all those involved. More information about the DLT can be found here. ORIGINAL STORY FEBRUARY 22 – As another round of snow fell, it also falls on the homeless. Ridge Meadows RCMP is enforcing an injunction order. 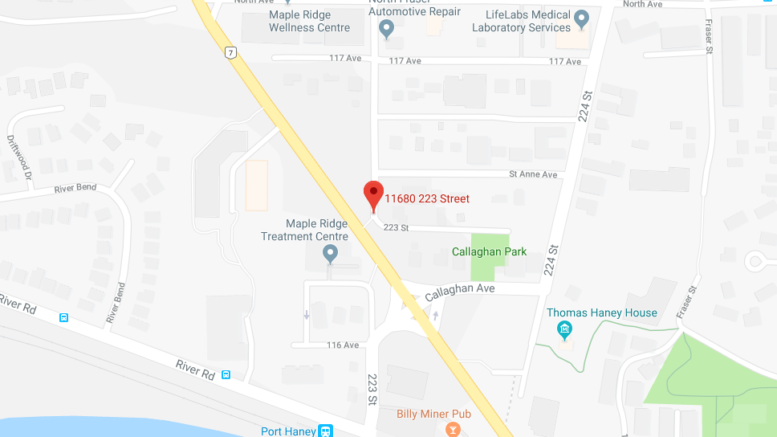 The Ridge Meadows RCMP is aware of the BC Supreme Court order granted to the City of Maple Ridge and the City of Maple Ridge Fire Department dated February 8, 2019, in relation to the St. Anne’s land and Anita Place Camp. The current civil injunction Court order is granted on the issue of fire safety. The RCMP are hopeful that those residing on the St. Anne’s lands will obey the court order. The RCMP will continue to maintain their keep-the-peace duties during the civil injunction process. Since the establishment of the camp on May 2, 2017 police have responded to six-hundred-sixty-nine (669) police reports relating to the camp. These reports include eighty-one (81) weapons calls, forty-four (44) assist with medical overdoses, fifty-seven (57) recovered stolen items, and eighty-two (82) arrests. Police take action on a case by case basis with a focus on enforcement if there are criminal activities that pose a threat to the safety of individuals or property or reports of individuals violating a court ordered injunction. There are no safe havens in Canada from the Criminal Code and law enforcement. As always, the primary concerns of police are public safety, police officer safety, and the right to peaceful, lawful and safe protest, within the terms set by the Supreme Court in the injunction. All questions relating to the City of Maple Ridge’s Court Injunction process should be forwarded to communications@mapleridge.ca or visit www.mapleridge.ca/2215 for more information. Be the first to comment on "Maple Ridge RCMP Arrest 6 – Enforcing Injunction Order On Anita Place Homeless Camp"